Evening everyone… oh wait it is still afternoon but it is so dark that I keep thinking it is way later! Honestly, I have my lights and heating on already! I have occurred a few problems relating to children today…. and I’m on half term away from kids! This morning, I went to town with my friend (dressed in normal ‘muggle’s’ clothing – not Harry Potter attire may I add!) and we had a wander round the shops. I had my flu jab… partly because I have asthma and partly because I work with kids and all the lovely germs that come with them… so to protect myself from this I feel the flu jab helps! Immunise yourself against the youngsters = good plan! My arm hurts and I can’t raise it up but I’m hoping the pain will be worth it. Anyway, when we were in a charity shop before heading home, a woman came in and complained she couldn’t fold her grandchild’s pushchair down. She wanted to leave it there to pick up later. We, plus the charity shop worker all had a go at collapsing this pushchair to no avail. This is a problem with having children… all the accessories that come with them! She needed it to take the kids out but couldn’t fold it down. It was a right fiddly thing and she ended up leaving there (because it wouldn’t fit in her car boot upright either). My friend pointed out another thing too; the fact that she wanted to leave it in a charity shop, saying she couldn’t ‘think of anywhere else to leave it.’ Is this another problem? That if you have big contraptions or toys, then the only place you can trust to leave them is charity shops? She didn’t opt to leave it in one of the big chain shops but a shop that sells second hand goods for charity (in other words where her pushchair could have easily been mistaken as goods and been sold to a customer!). It does make you think that there are few people you can trust. I am assuming her thinking was that, ‘Oh they must be nice people to work in a charity shop, so they will look after my pushchair.’ I bet many elderly people would say, ‘Oh in the olden days, you could leave anything out in the open and it would still be there hours later!’ If only…..
My other problem with children today was that one wanted to come and live with me! My friend, an ex work colleague, came round for the afternoon with her two little boys. The youngest, as soon as he came in, exclaimed, ‘Can I stay here Mummy?’ I felt a bit like the witch from Hansel and Gretel, having a home that attracts children! His Mum explained that they had moved house, moved out of one and then gone to live with their gran for a while and also been on holiday a few months ago and he had been attached to that house too. So a lot of houses for the little one to get used to! We had a great afternoon, Smarties and juice for the kids, tea and biscuits for us grown-ups and lots of Wii playing. So much that the youngest boy didn’t want to go home! I joked about finding him a bed and then started to worry that I actually might have to! Haha. He was most distraught when we turned the Wii off and didn’t want to go 😦 It was very sad. I said, though, that I was glad he was crying because he didn’t want to go and not because he wanted to go. So that was nice in a way but not nice for Mum! Maybe my Smarties, that I gave him, made him hyper. I hear that is another problem with children and sweets! This evening, it is just adults… me, my sister and a friend of to watch another friend perform in a version of Jekyll and Hyde! I’m trusting that you won’t mind of I visit a more serious topic today. I had some bad news. 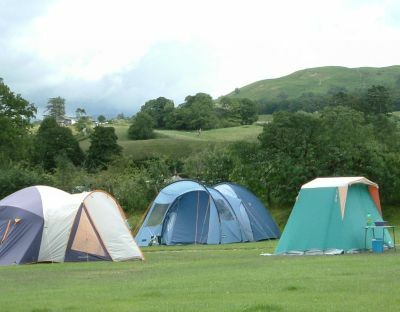 My partner is a rower.. as I’ve mentioned before.. and he is away for the weekend camping at a regatta (remember I only go to the one day ones 😉 ) .. anyway, he phoned me this morning to tell me that last night, whilst all the rowers were out, the campsite got burgled. Phones, money and other valuables were taken along with two actual tents!! When they returned, clothes and invaluable belongings were strewn all over the field. A couple of expletives come to my tongue now but I’ll try not to send them out into blog land as that won’t help anyone. The first thoughts you will probably have are, ‘How can people do this? Steal from someone else!’ But it also got me thinking about the other side… and even though… it is so wrong that people do this… but why oh why did some of the rowers leave valuables in the tents? Were they asking for it? And just how trusting should you be.. with anyone? Do these thieving mongrels really end up stealing our trust and faith in fellow human beings more than anything else? Possessions are just things and can be replaced but no one can give back the pure innocence of ‘everyone is a friend’ feeling that we have as children. My boyfriend, luckily, was sensible enough to put his valuables either on him or locked in his car. But some of the others, especially the younger ones, kept smart phones, money and purses in their tents. Their innocence and naivety will now be replaced with cautious, wary and untrusting attitudes (or at least I would think it would be! )… is this a good thing though? Should we all and need to learn to be aware and responsible or should we be carefree and have a ‘if it happens, it happens…sh*t happens’ kind of mantra? Seems though, that sadly, they have learnt an important lesson when camping. Leave your valuables in your car or preferably take them with you!! I will tell you that I am not at all trusting. And no it hasn’t stemmed from an awful childhood (I had a great one… remember the mud pies?!) or the fact that I was severely bullied (even though I did get called a geek a lot… but I’ve made my peace with that 😉 ) or the fact that I have been completely duped or been ‘had’ in any way. I’ve just always been taught to not trust people until I really know them… and how many people would I trust with my life? Mmmm I’m not sure; it is a scary thought. I’ve always liked the quote, ‘Love many, trust few, live life to the full!’ You can still be nice and friendly to everyone you meet… just don’t let them hold your purse whilst you go to the loo… or give them your pin number! I sometimes think that people like to push the boundaries of security by leaving their front doors unlocked or by having a stash of money in their house or by walking around with their £200 phone waving about. I’m going to risk sounding old here but I never carry a lot of cash with me, my phone is always zipped in my bag and I always walk with my bag on my shoulder with the zip nearest my hand…so someone can’t just delve in behind. The house is always locked, whether I’m in or out ( a fire hazard.. you may add…. well that’s a whole other issue), our valuables are in ‘safe’ places (sometimes so safe that I forget where!) Am I paranoid? Probably. 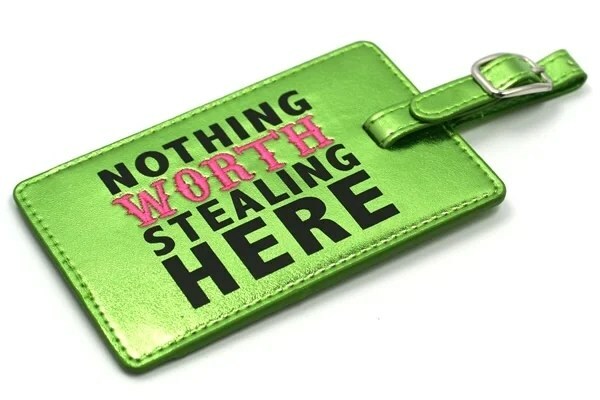 Is there a less chance that we will get things stolen than anyone else? Probably Not. But why make it easy for the good-for-nothing-stealing-toe-rags?! One of my mates last week, was finishing her thesis for her PHD. Naturally, she had to back up her work and did this quite a few times to keep it secure. She told us that as it was complete and ready to print, she actually slept with her memory stick (not what I thought people had plastic devices in the bedroom for…). This was just in case they got burgled that night and the computer was stolen… she wanted to make sure that she had her work with her. Again if a fire occurred it could be a different story… because would she think about rescuing her plastic device containing her cleverest scientific thoughts? Mmmmm… and was she paranoid? Or was it just good sense? So guys watch your backs and who you trust…. don’t let them steal your faith in human kind but just be aware that not everyone is as good a human being as you! Right, I’m off to check the door is locked…and if my new car is still outside! Haha.